Today, most teas come packaged in cardboard boxes. Many of the classic caddies and tins are gone. 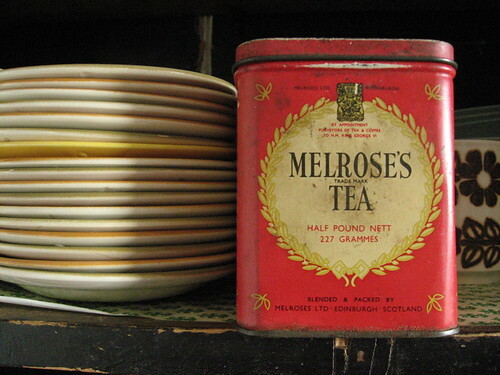 Here is a classic Melrose Tea tin we saw and really liked. Thank to Susie for the image. You can see more of her work on Flickr.